Brief Synopsis – After a wealthy business is arrested for attempting to kill his wife, he enters into a psychological game with the young and cocky prosecutor of the case. My Take on it – This is a film that is too clever for it’s own good. 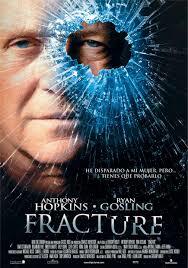 When you have a story like this, you need to have a proper balance between the characters and there is no way that one can compare Anthony Hopkins and Ryan Gosling as proper adversaries. Hopkins has such a grand and overwhelming presence on screen that if his films lack the right amount of weight on the other side, we don’t expect a compelling enough cat and mouse game between them. That doesn’t mean to say that I don’t like Ryan Gosling, (he started off great with his role in The Believer (2001) and still shows his potential every year since) it just means that he is not (even 10 years later) on par with Hopkins. This clearly takes away from the way that we can try and believe the story that we are being told. This is all quite unfortunate because with the proper actors cast here, this film could have been so much better and in turn help draw the viewer into such a fascinating kind of story. The fact tho that this feels unbalanced between the two sides takes so much away from the potential that is there but sorely underused. Bottom Line – This film could have been so much better had someone worthy of being the adversary to Hopkins been given the role played by Gosling. Hopkins is always amazing in whatever he does, but if he lacks a partner to balance him, it all seems too lopsided like in this film. The story is somewhat clever, but in certain instances it feels too clever for its own good which also takes away from making this seem even remotely believable. I remember liking this – and don’t remember having the casting imbalance problems that you did. Hopkins is formidable on screen – but I thought Gosling was solid – in the cat and mouse game being played – and the twists and turns it takes. I can’t really say much more without spoilers being involved – but I’ve seen this more than once – and it works for me. There’s a bit of Hannibal Lecter in Hopkins here – in the diabolical nature of his character – without him being so over the top and deadly as Lecter.